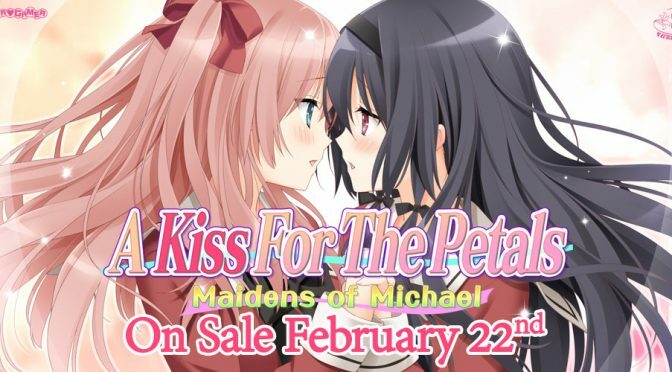 MangaGamer has announced A Kiss For The Petals – Maidens of Michael is scheduled for release on 22 February 2018 at a price of $34.99. 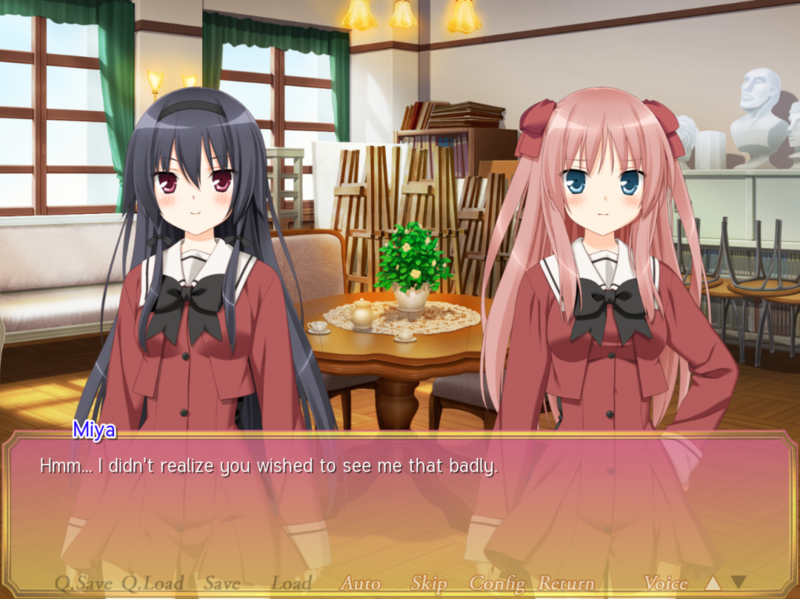 Pre-orders are now open on MangaGamer.com at a discounted price of $31.49. 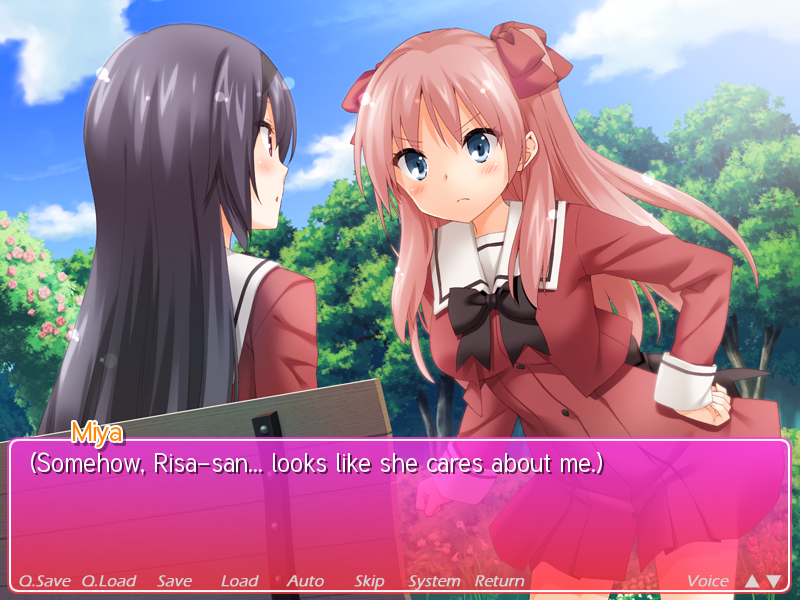 As with The New Generation, this version benefits from a complete rewrite in the Ren’Py engine, bringing support to macOS and Linux; an increase in resolution to 1600 x 1200; new features such as a Climax Timer and customizable text box; and use of modern, efficient compression methods for images and sound. 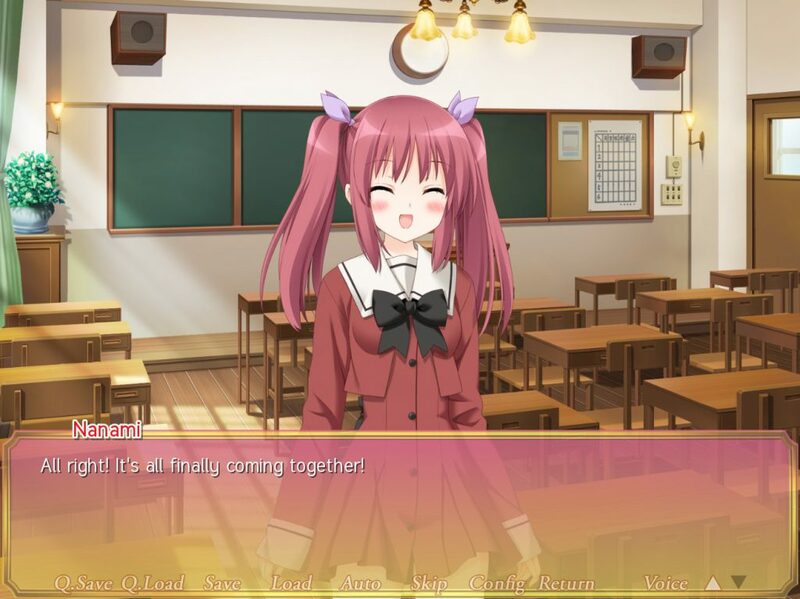 MangaGamer’s announcement for the pre-order and release date is reproduced from the staff blog below. This post was originally published on 10 January 2017 at 9:27 PM EST. This post is a continuation of English translations of Fuguriya (@fuguriya1) and St. Michael Girls’ School (@mikajyo_info) tweets by Ralen from January 2017. Praying from the bottom of our hearts for everyone to be in good health, and for yuri to take over the world. 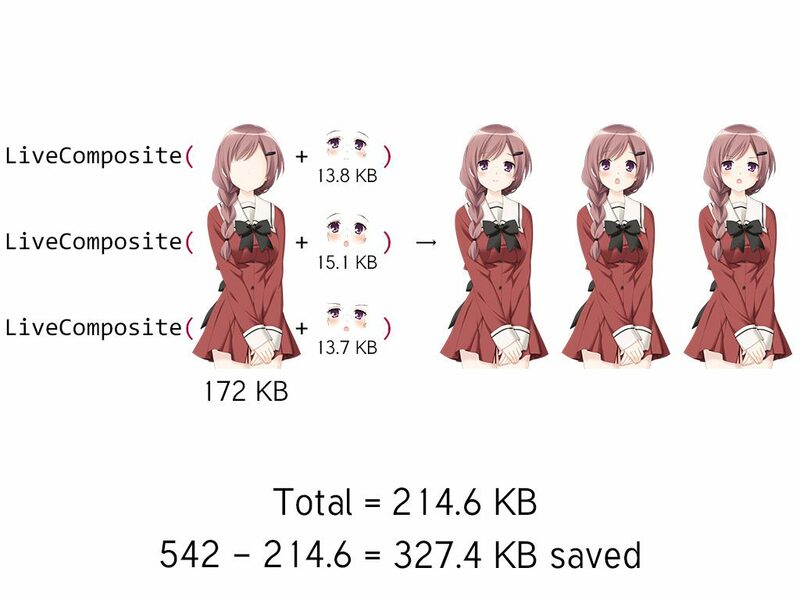 We’ve got lots of plans in development for #SonoHana in the coming year. 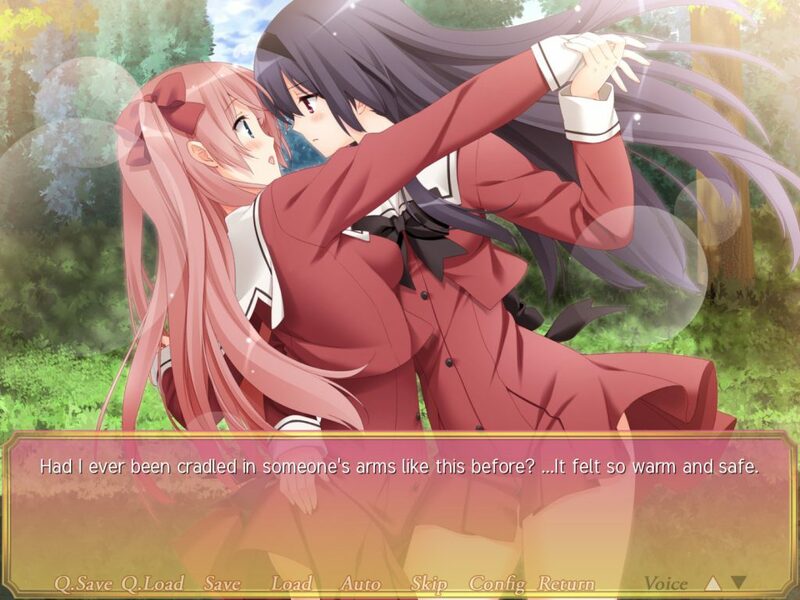 Humble Bundle has launched the Humble MangaGamer and Friends Bundle, which includes 14 visual novels published by MangaGamer and MoeNovel available in escalating pricing tiers of the customer’s choosing. 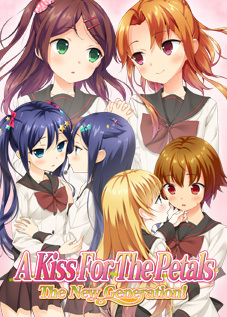 Available at the $1.00 level is A Kiss For The Petals – Remembering How We Met, normally priced at $7.99. The titles in the bundle are available as Steam product keys and require a free Steam account to redeem. Proceeds from bundle sales benefit the Electronic Frontier Foundation and the Comic Book Legal Defense Fund. The bundle is offered until 27 December 2017. 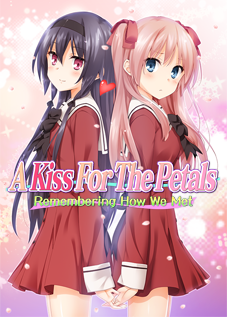 A Kiss For The Petals – Remembering How We Met is available for Windows, macOS, and Linux in English, Japanese, Simplified and Traditional Chinese. 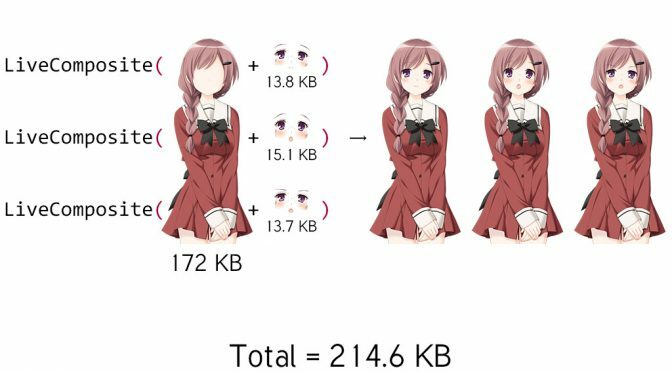 All of these versions are included in the package. 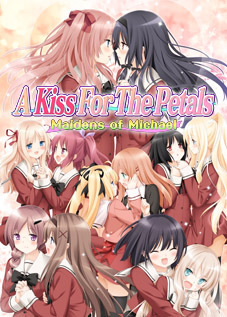 It is a prequel to the upcoming A Kiss For The Petals – Maidens of Michael, also published by MangaGamer.